The Vivo X21 (or Vivo X21 UD) has officially arrived in India for Rs 35,990 and is shaping up to be a really great smartphone offering. This premium flagship has quite a lot of things working in its favor, primarily the revolutionary under-display fingerprint sensor. What are the tech specs of the Vivo X21? Does the Vivo X21 have a notch? Yes, the Vivo X21 has a notch but sports an option to hide the same. There’s also a small chin on the device, which is quite similar to the OnePlus 6. The Vivo X21 boasts of a 90.3 percent screen-to-body ratio. What processor is used in the Vivo X21? The Vivo X21 is powered by the Snapdragon 660 octa-core processor with 4 Kryo cores clocked at 2.2Ghz and the other 4 at 1.8GHz respectively. How much RAM does the Vivo X21 have? The Vivo X21 comes only in one variant, and it has GB of RAM. Does the Vivo X21 have dual cameras? Yes, the Vivo X21 comes with a 12MP (f/1.8) + 5MP (f/2.4) dual camera setup on the rear. Does the Vivo X21 have a headphone jack? Yes. Even though it’s a flagship smartphone, the Vivo X21 has not gotten ridden of the 3.5mm headphone jack. Does the Vivo X21 have a USB-C port? No, the company has stuck with the microUSB port even at its premium price point. What’s the battery capacity of the Vivo X21? The Vivo X21 comes with a decent 3,200mAh battery. Does the Vivo X21’s camera have EIS or OIS? No, the Vivo X21 neither has EIS nor OIS on board for video stabilization. Does the Vivo X21 have stereo speakers? No, the Vivo X21 only has a single bottom-firing speaker and no stereo speakers. Does the Vivo X21 feature a notification LED? No, the Vivo X21 doesn’t have a notification LED, but it does have flashlight alerts. Is the Vivo X21 waterproof or not? No, the Vivo X21 is not waterproof. It does not feature any form of IP certification. Does the Vivo X21 have wireless charging? No, even though the device has a glass back, there is no wireless charging support. 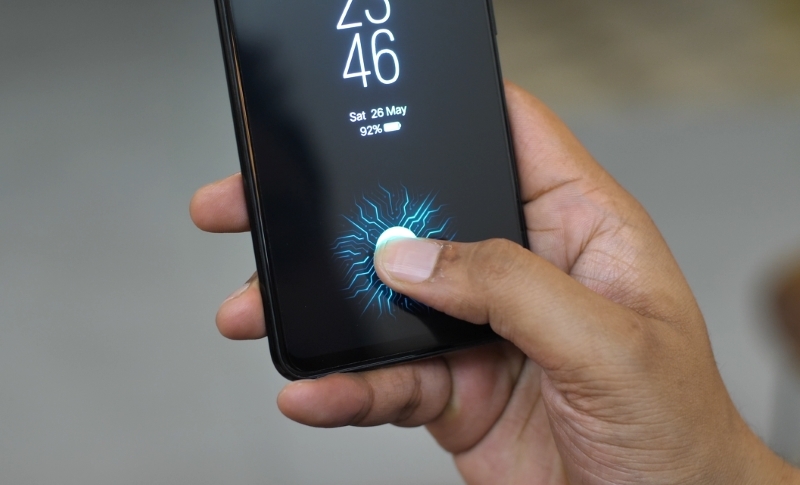 How good is the under-display fingerprint sensor? 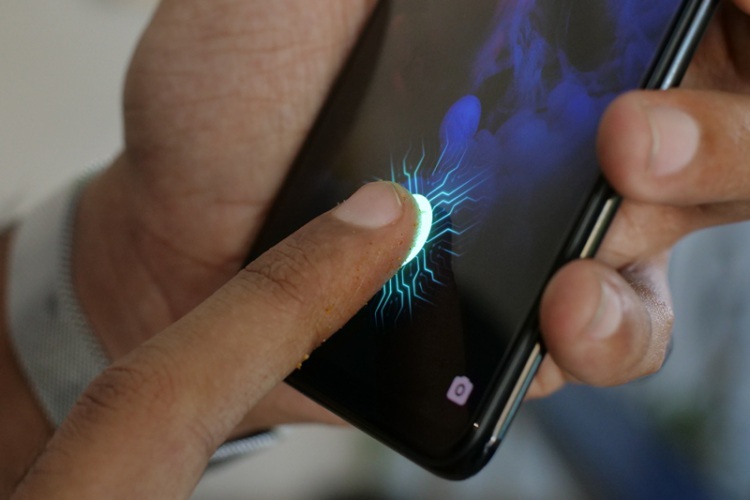 The under-display fingerprint sensor sure is revolutionary, but the authentication is a little slow right now, thanks to it being the first generation of this technology. Will it work with a tempered glass applied on screen? Yes, the under-display fingerprint on the Vivo X21 works flawlessly even when a tempered glass is applied to the device. Does it work with oily or dusty fingers? 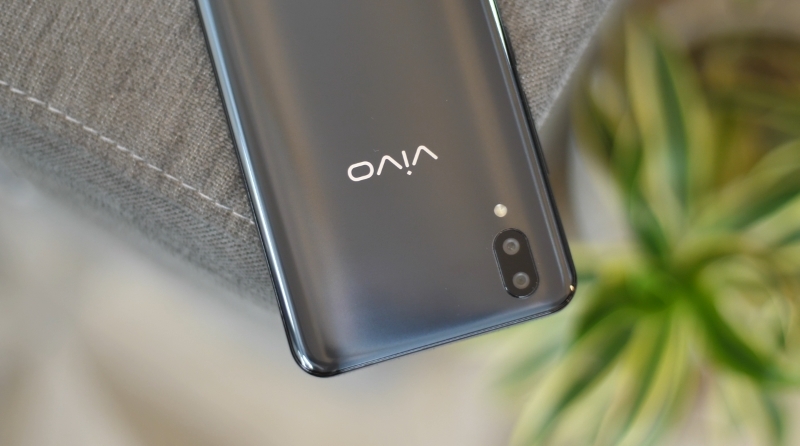 Yes, the Vivo X21 shows no hiccups in unlocking with oily (just after lunch or cooking) or grimey (when you’re eating a bag of chips) fingers. Does the sensor work with wet/ moist fingers? 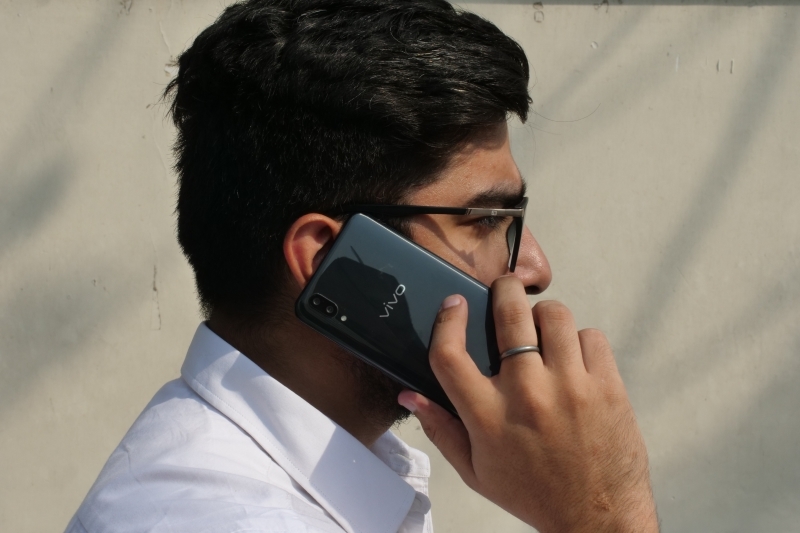 No, the Vivo X21 does not work with wet fingers. The under-display fingerprint sensor is unable to recognize your fingerprint. You can read our in-depth review of the fingerprint sensor to know more about it. With a Snapdragon 660 SoC under the hood and a heavily skinned version of Android on top, the Vivo X21 showed no hiccups during our time with the device. Can the Vivo X21 run PUBG Mobile? Yes, the Vivo X21 runs PUBG Mobile at medium settings and high frame rate by default. I did not face any noticeable frame drops/ lags and the game runs quite smoothly. How is the portrait mode on the Vivo X21? The portrait mode on the Vivo X21 is good enough, with minor issues with edge detection. Is there portrait mode on the front camera? Yes, the front 12MP camera on the Vivo X21 has portrait mode and its performance is very similar to the rear setup. Yes, both the front and rear camera of the Vivo X21 are capable of shooting 4K video. Can you replace the navigation bar with gestures? How long does the Vivo X21’s battery last? The 3,200mAh battery will easily last you a day on medium to high usage. Does the Vivo X21 have dual SIM support? 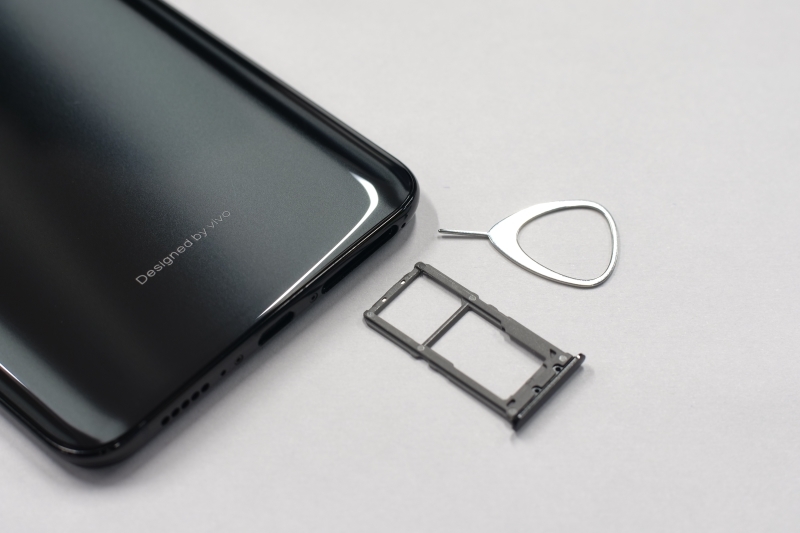 Yes, the Vivo X21 comes with a hybrid dual nano-SIM card tray, where you can use the second SIM slot to expand storage up to 256GB via microSD card. What version of Bluetooth does the Vivo X21 have? The Vivo X21 comes with Bluetooth version 5.0. Does the Vivo X21 support 4G VoLTE? Yes, the Vivo X21 does support 4G VoLTE, so no worries in this department. Does the Vivo X21 support 5GHz WiFi networks? Yes, the Vivo X21 supports 5GHz Wi-Fi, so you shouldn’t face any problems connecting to any Wi-Fi network. How long does the Vivo X21 take to charge completely? It takes the Vivo X21 just under two hours to charge from 5% to 100% using the 9V/2A charger that comes inside the box. Does the Vivo X21 support fast charging? Yes, the Vivo X21 supports quick charging with the bundled charger. What’s the pricing of the Vivo X21? The Vivo X21 has been priced at Rs 35,990. Where is the Vivo X21 available to purchase? The Vivo X21 is available exclusively on Flipkart at a price of Rs 35,999, along with a ton of launch offers. Well, these are the answers to all of your most frequently asked questions about the Vivo X21 with an under-screen fingerprint sensor. But, if you still have any doubts or queries about the device then don’t hesitate to shoot off your questions in the comments below.